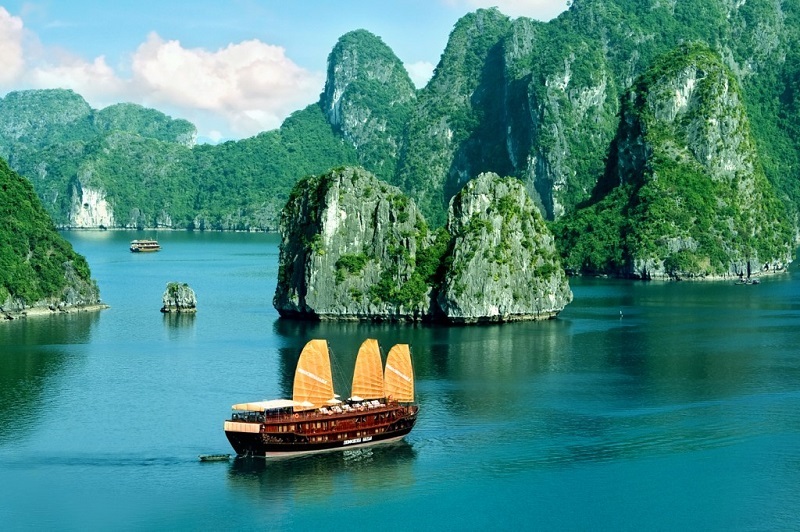 Home > Travel Tips > Summer and winter in different Halong Bay like? You are planning your trip to Halong bay? But you can't decide to go at some point?? Will it be summer like many popular choices? Or will it be winter when the bay is less crowded? Maybe we can help you with this tough decision. Halong bay weather is typical for tropical coastal climate, which has four main seasons: hot with sporadic rain from April to September and cool with some chilly wind from October to March. You may familiar with the image of Halong bay with sparkling sunlight and clear emerald water, a perfect destination for summer vacation. But do you know that during winter, this UNESCO World Heritage Site has a totally different charm that stole the heart of many tourists around the world. And for this reason, Halong bay has become a year-round tourist attraction, no matter what season or weather it is. When you are planning to visit Halong bay, normally, most people will advise you to travel in warm season to enjoy to trip to the fullest. The emerald water sparkles in the summer, the lush greenery covers all islets and islands. 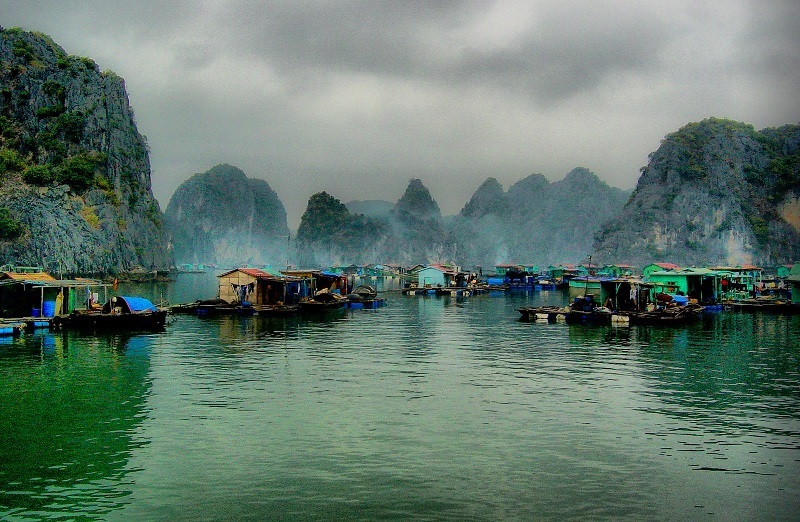 These give Halong bay an ethereal yet unique charm created by nature. Halong will bring you a typical summer vacation: sunshine, sea, sandy beach, cocktail on sundeck, tanning under the sun. Not interested in relaxation? Don’t worry, Halong bay has many sport activities to offer. Go on a cruise for a kayak tour on water, or prepare yourself to be an explorer and conquer the top of Titop island for a panoramic view of the bay. And of courses, sunbathing on a cruise’s sundeck and swimming in the water is something you do not want to miss. Sometimes the rain may suddenly hit the bay, but don’t worry because it usually last for 15-20 minutes. After a while, the sun will shine again. The bay presents its most stunning view to you, which provides such a perfect getaway.